Hold onto your netball / tennis racket / swimming trunks, the finalists in the Perth and Kinross Sports Person of the Year Awards are here! The nominations have been counted, the judges and sponsors votes have been cast, and we can now announce this year's outstanding lineup of 36 finalists. Based on achievements gained throughout 2018, these finalists were whittled down from hundreds of nominations in a task that proved harder than ever. We are undoubtedly spoiled for choice when it comes to sporting opportunities here in Perth and Kinross, and this year's entries proved just how much there is to be gained when a proactive sporting community comes toegther. "Once again the calibre of nominees was incredible. We are undoubtedly spoiled for choice when it comes to sporting opportunities here in Perth and Kinross, and this year's entries proved just how much there is to be gained when a proactive sporting community comes toegther. The many great coaches and volunteers, and the fact that we have access to some of the country’s best venues and facilities, has ensured sporting superstars across all areas and ages. It goes without saying that everyone on this list is a winner in our eyes." 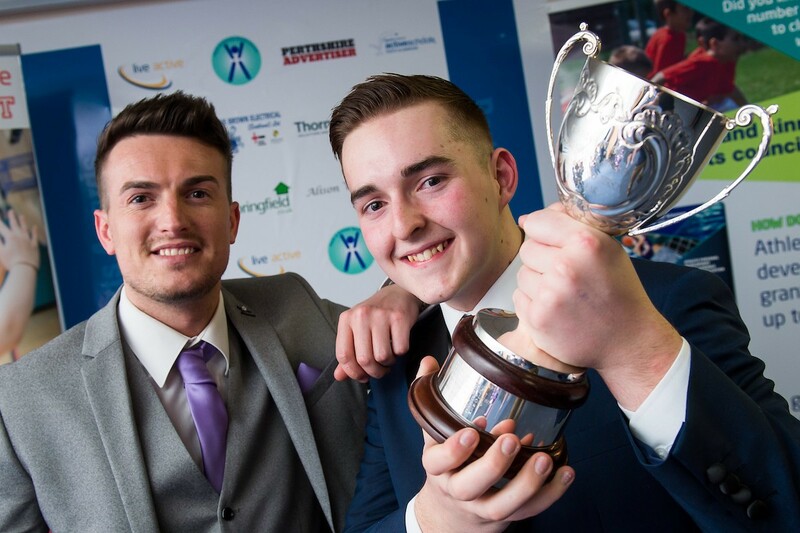 The organisers of the awards - Live Active Leisure's Sports Team - are proud to be recognising these great people and their achievements in a fantastic ceremony which will take place in Dewars Centre on Friday 8th March 2019. Hosted by Jim Spence, BBC's Scottish Sports Broadcaster, the evening promises to be a real celebration of sports in the area. This year's guest speaker is 400m hurdler and 2016 Olympic Medalist, Eilidh Doyle (Child). Eilidh is the most decorated Scottish athlete in Olympic, World, European and Commonwealth competition and was Team GB Captain at the 2017 World Championships. Main pic: Ben Leitch, winner of the Disability Sports Person of the Year at last year's ceremony, with Gary Henderson.